Fixed players disappearing if their vehicle got deleted. 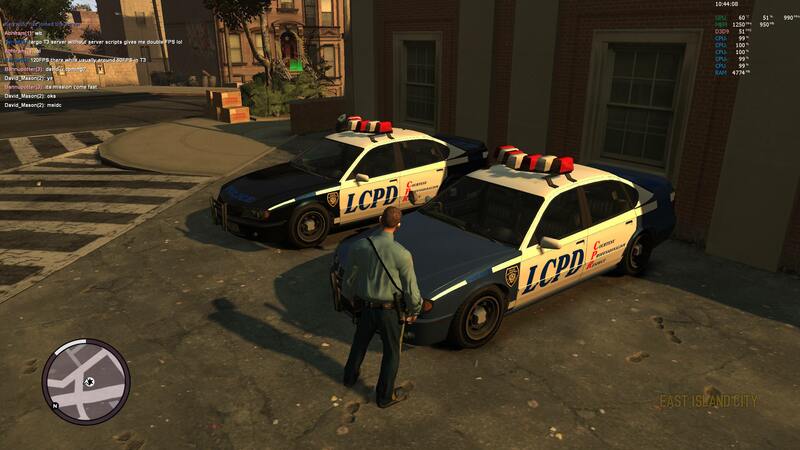 We included the Liberty City Customs mod by Wheelriders to our default client pack. Aso Players should notice a smoother vehicle sync. I don't know if this is a miracle but this new build has fixed my CPU issue, which was hanging around 40-50% before. Now my CPU is basically using its max potential, and with recording software turned off and an overclock to 4,5GHz, my GPU got some room to render up to 60-90fps around crowded areas and up to 200FPS at FIA or Hove Beach. An optional update is available at the downloads section. It's an update for the EFLC Liberty City Customs only.